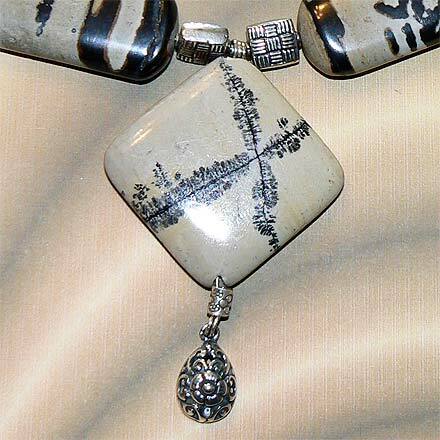 Sterling Silver Paintbrush Jasper Necklace. See Closeup. 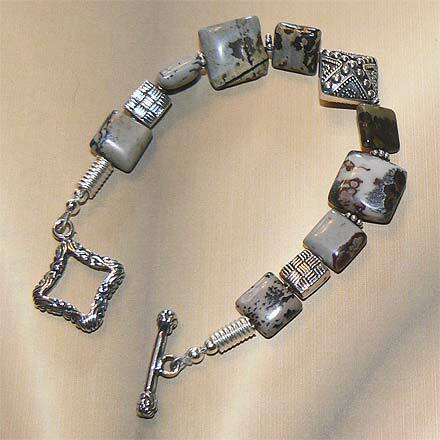 Sterling Silver Paintbrush Jasper Bracelet. Artistic Paintbrush Jasper has a variety of markings, from spots and blotches to feathery dendrites. 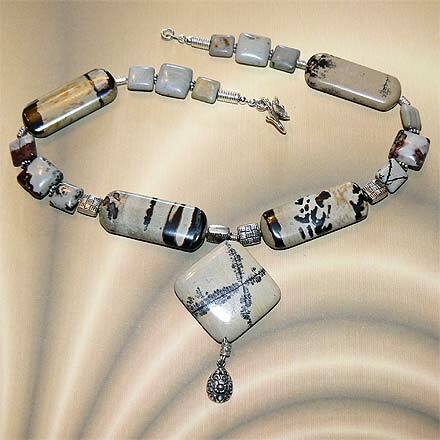 It is very evocative of brushstrokes and ink paintings.